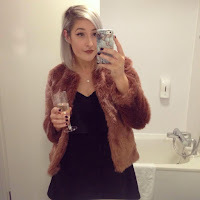 Floral Danielle: Mother's Day gift guide! So it's come around really quickly again, and this Sunday we will be celebrating Mother's Day. This year is going to be a special one because not only do I get to spoil my own mummy, but my little sister is spending her first Mother's Day as a mummy herself! 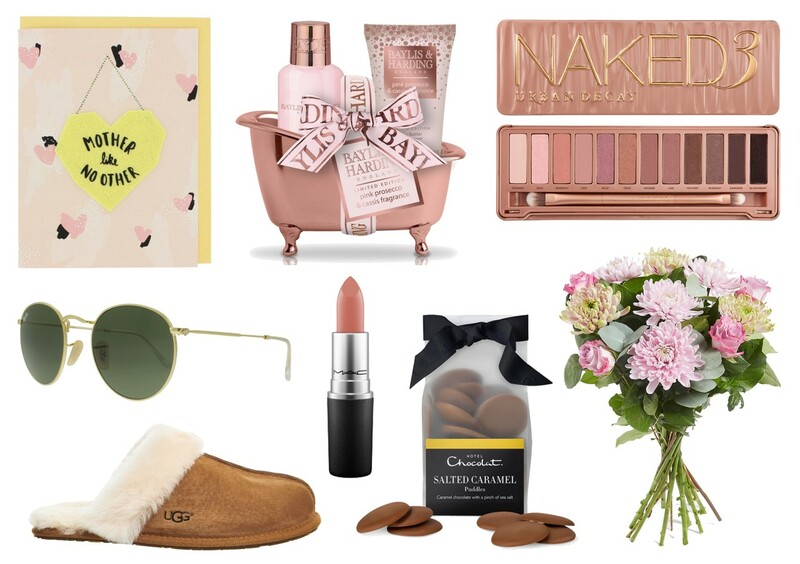 I've collated together a little gift guide to give you some last minute inspiration if you haven't already got all the bits you need to treat your mummy to a lovely day. I love picking out a card for my mum for Mother's Day. Sometimes I go for lovey dovey, sometimes I go for funny and sometimes I go for a pretty design. This one is definitely pretty design - I love the background print! How cute is this little rose gold bath tub?! I would keep it to use in my bathroom afterwards for sure! I love the sound of Baylis & Harding's new pink prosecco range, and I'm sure that my mum would too! With Spring/Summer just around the corner... (well hopefully, this weather has been a little all over the place), a pair of new sunglasses are the perfect gift. These are a little expensive but a pair of Raybans are going to last you a very long time. I absolutely love the shape of this style. They have a vintage feel to them and I think they would suit all face shapes. My mum has actually already been spoilt to these slippers by my sister. I must say though, she absolutely loves them and she will definitely be able to wear them for many more years to come. Her and my sister have matching pairs and I think I'm going to have to treat myself to a pair. I know this is an expensive present, but it's definitely a worthy investment as they last forever. I swear by this lipstick ever since I tried it. I think it is the perfect shade for a young lady or an older woman. Mac lipsticks are a lovely little present to treat someone you love. How yummy do the flavour of these sound?! You really cannot go wrong with treating your mumma to some chocolates on Mother's Day. Although these may be an expensive choice for flowers, you can always get a bouquet to suit your own mums style and to fit in your price range. I love a big bunch of flowers and coming into Spring this is the perfect time. The lovely people over at Baylis & Harding sent me over a couple of their Pink Prosecco & Cassis range* to give to my mum for Mother's Day. As I mentioned before it is my sister's first Mother's Day so I will give one to her and one to my mummy. I'm rather tempted to keep them though, how lovely does pink prosecco and cassis sound?! I love the rose gold and cut-out packaging details and I hope that they love them as much as I do! What have you got for your mummy this Mother's Day? What a lovely selection. I'd be happy with any of these tomorrow. That little bath tub is so cute! Ooo you can't beat a bit of Hotel Chocolate can you? Pink prosecco and Cassis sounds lovely too, B&H always do the best smells! My mom would love those ugg slippers! I will have to grab her a pair! Fab gift ideas here for Mother's Day. Love them. This are very lovely! These amazing gift ideas are perfect for Moms. You can never go wrong with Chocolate of course! I love Baylis & Harding products! I actually receieved some this year (with many hints I might add). Theyre not only great products, but the gift sets look so beautiful! Lovely Mother's Day Guide, I love the bath time set. What a lovely selection! I quietly slipped a mothers day gift guide to my husband and got most of the picks from that list haha! What a great selection of gifts, love those chocolates. There's some great ideas there to spoil your mum. I like the flowers especially, they're so pretty and I think any Mum would love them! What lovely picks for Mother's Day. There's something for everyone. I know it's a stand-by .. there's nothing I love more than fresh flowers. Having them in my windowsill always makes me smile. What some absolutely lovely ideas, I always love picking up tips for the next time I need to buy a present.